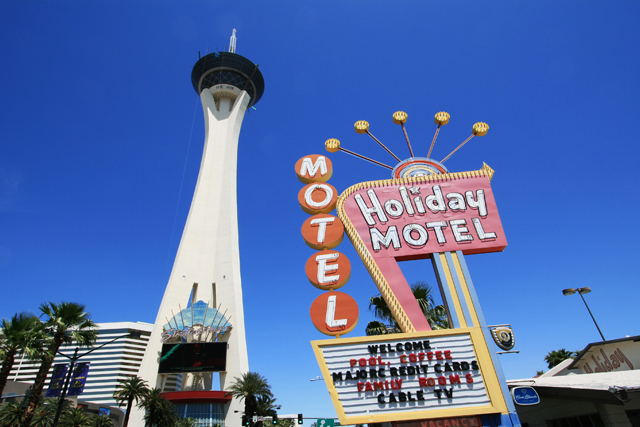 A number of hotels on the Las Vegas Strip are kid friendly, as well as a few others in the general Las Vegas area. The Excalibur features midway games, an expansive video game arcade and free children's shows. These shows range from puppets and jugglers to magicians. Put all together, these attractions create a magical environment for children. The Luxor also has a large arcade, called the Games of the Gods. 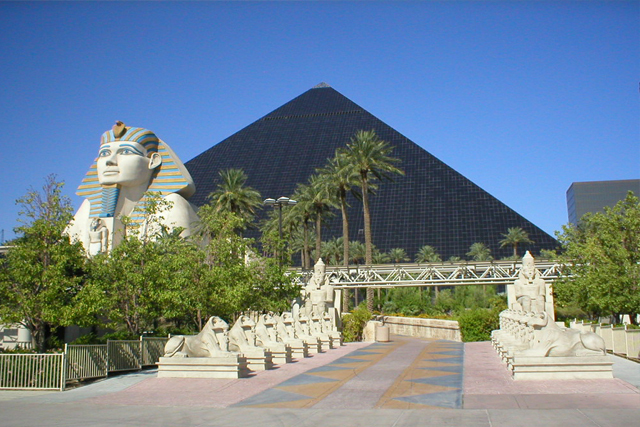 Unique attractions at the Luxor for both adults and children are the IMAX Ridefilm and the King Tut Museum. New York-New York is bit more frenetic than the other family-friendly hotels on the Strip, but with its signature roller coaster it is highly appealing to many youngsters. It also features an arcade, but at times it can be a little overstimulating-rather like its namesake. Similarly, the Stratosphere Hotel and Casino has a roller coaster and other thrill rides at its top. Unlike the other hotels, it is at the end of the Strip, so it is easier to shield children's eyes from some of the more adult aspects of the strips and its shows. Circus Circus hotel is in walking distance from Stratosphere and have so many entertainment options for the kids. Mandalay Bay defies its grown up exterior in also being a family friendly hotel. Most importantly, it offers rooms that can be reached without walking all the way through a casino. It also offers a family friendly show and other exciting attractions, like its shark display. The Four Seasons is explicitly a family-friendly hotel. The Four Seasons offers baby-sitting for when parents jet off to the Strip. Additionally, they offer kids sized amenities. A PlayStation is even available to guests. If you want to entirely avoid the adult material on the Strip, you may want to consider staying at the Ritz-Carlton Lake Las Vegas. The Ritz-Carlton offers many recreational activities, as well as a baby-sitting service. Clearly, there are accommodation choices if you want to take a family to Las Vegas, it's just a matter of knowing which ones, and which ones fit your family.